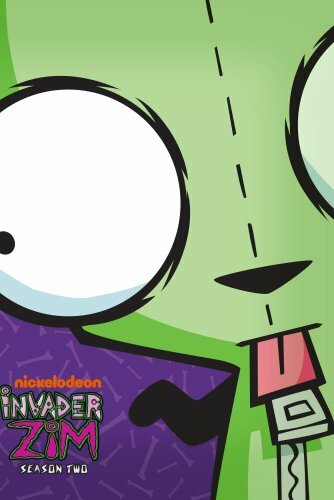 He’s INVADER ZIM, sent by the ALMIGHTY TALLEST, leaders of the planet IRK, on a mission of DOOM… This may be ZIM’s last chance to prove himself to his leaders. After all, the vertically-challenged ZIM failed miserably at his first planet invasion attempt because he couldn’t see over the control panels of his vehicle. ZIM hasn’t completed his mission, which is good news for you, Earthling. Because that means you can watch another season of INVADER ZIM! Will ZIM finally succeed on his mission of doom!? Don’t ask. Watch in this 2-disc Season 2 DVD!